Today is the Winter Soltice for 2013. It usually falls on or around December 21 but it is all based on the Sun / Earth location so on some years it can happen on the 22nd too. So why is this reason to celebrate? 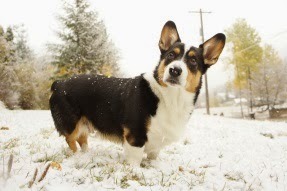 For me it is the official first day of Winter which means ski season. That is always reason to celebrate. For people interested in the earth and the climate this is a day to celebrate. CLICK HERE for the technical analysis of the meaning of the winter solstice. For people interested in the cultural significance of events this is a day to celebrate. Many people gather around Stonehenge to celebrate this event in a communal experiential way. 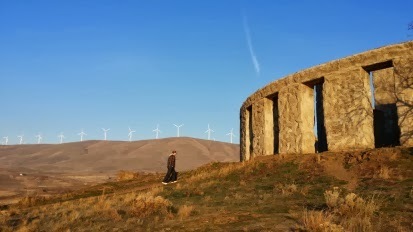 Just south of Goldendale is a very interesting replica of Stonehenge that appears to be open and free to the public year round. Even if it is not the Winter Soltice this is a fun stop for travelers. It is not an exact replica but it is definitely full size scale unlike the replica made in This is Spinal Tap. If you haven't seen this movie yet it would be a great one to watch on the Winter Solstice. So whether you are a science fan, a fan of culturally significant events, or just a fan of Winter, Happy Winter Soltice!